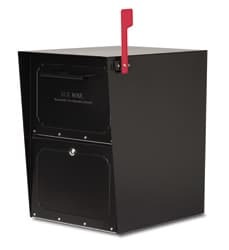 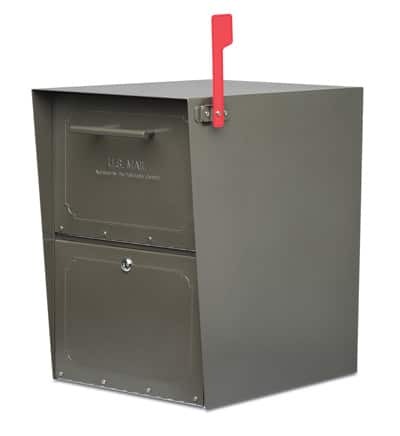 dVault Locking Wall Mount Mailbox, shown with optional locking bottom hold, offers simple open, drop and go mail delivery. 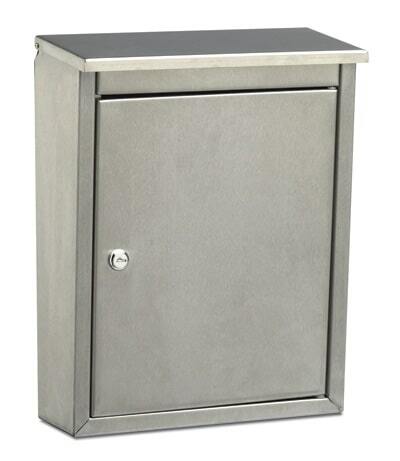 16 gauge galvanized steel construction with a durable powder coated poly-hammer finish. 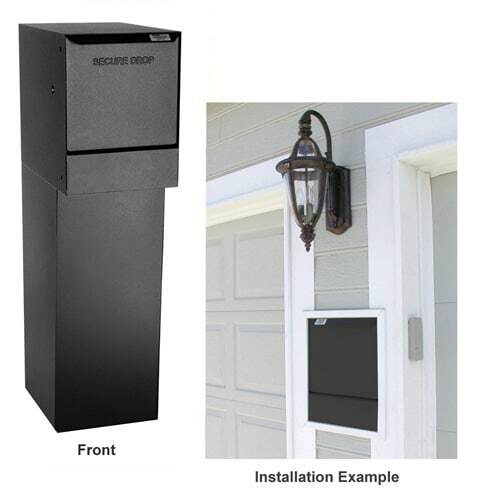 Easily installed between wall stubs, ideal for installation between a front door and garage. 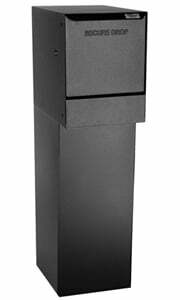 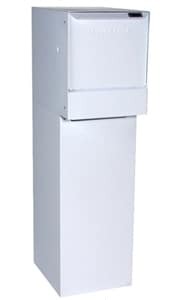 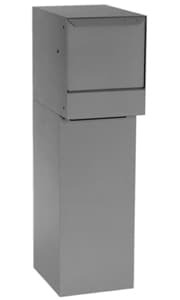 Locking wall mount mailboxes flush mount for a smooth, unobtrusive look. 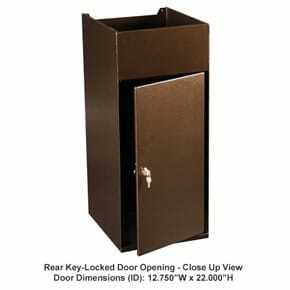 Optional locking bottom hold with rear locking access door available for indoor package retrieval. 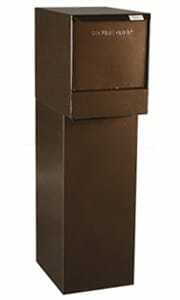 These mail boxes are available in 5 finishes. 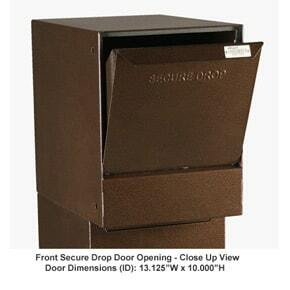 Features the dVault patented Anti-Pry Double Hook Posi-Lock on the access door. 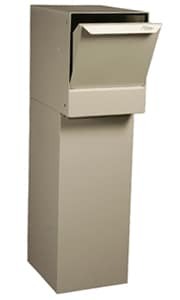 Not the option you were looking for? 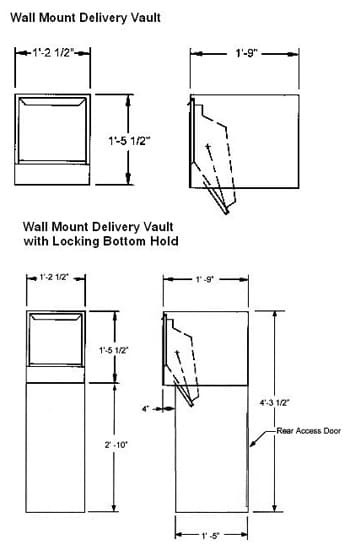 DVault Locking Wall Mount Mailbox offers a variety of installation options. 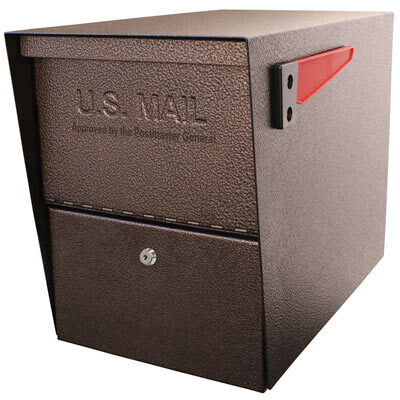 Check mailbox details for some decorative installation ideas. 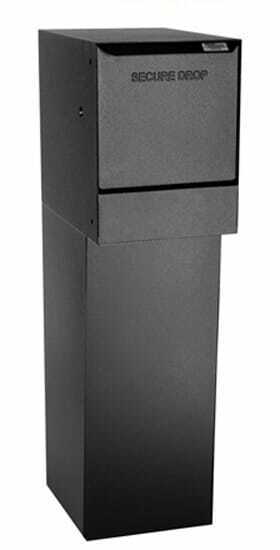 Top Piece 23.25" 14.5" 21"
Bottom Hold 34.25" 14.5" 17"
Maximum Package Size 8" 13" 11.25"